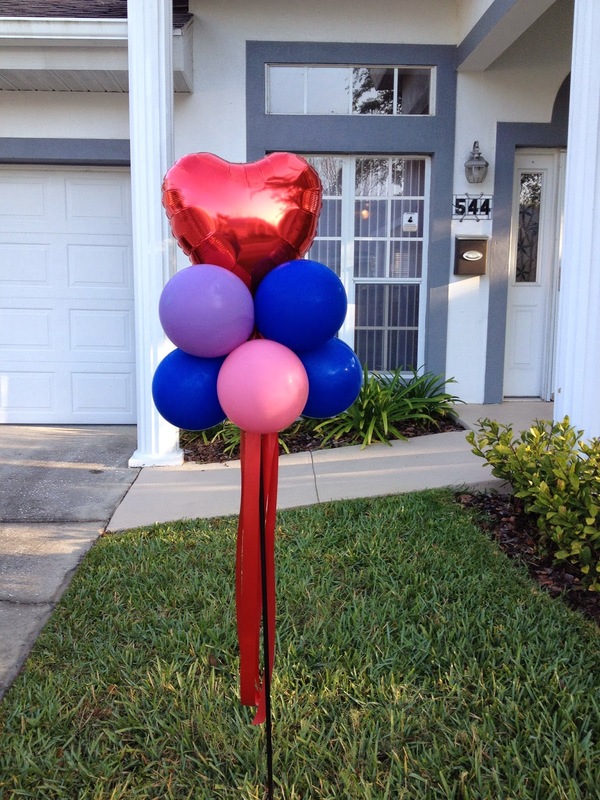 Party People Celebration company created these Heart topped topiary's in logo colors to place in front of the homes that are available for purchase at Florida Presbyterian Homes. 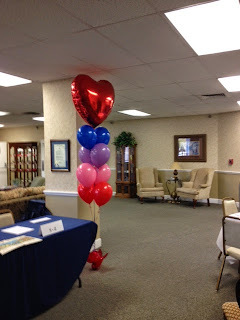 Helium balloons to greet visitors to the open house. Call 863-255-2025 to have Party People Celebration Company Create balloon decor for your open house or special event.